Spark your holiday spirit with a house tour. 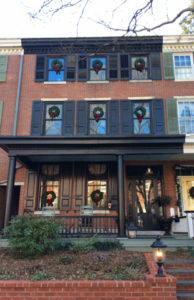 West Chester Public Library’s Holiday Home Tour. Tour 9 homes, the Chester Co. Art Assoc. and Antique Ice Tool Museum. $40–$50; VIP ticket ($60) adds a tour of a West Chester Preservation Award winner and a small box of Éclat Chocolate. 10 to 3. Tickets at library, 415 N. Church St. or online. 610-696-1721; WCPublicLibrary.org. 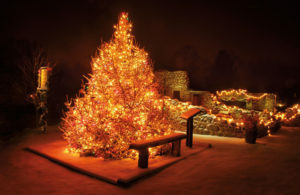 Chadds Ford Historical Society Candlelight Christmas Tour. This year’s tour will be at the Chads House, Barns-Brinton House, Springhouse and the Chadds Ford Historical Society Visitor Center. 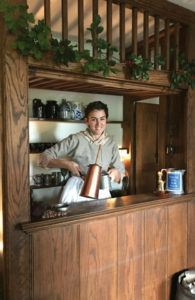 Enjoy 18th-century holiday décor with hearth cooking, Colonial dancing and light refreshments. 1736 N. Creek Rd., Chadds Ford. 1 to 6 p.m. Ticket price TBD. 610-388-7376; ChaddsFordHistory.org. Christmas in Marshallton House Tour. The Marshallton United Methodist Church hosts a tour of 19 homes and public buildings in this quaint village setting. Box lunch available, plus an arts and crafts show and live music. 1282 W. Strasburg Rd., West Chester. 10 to 4. $25–$30. 484-653-1622. 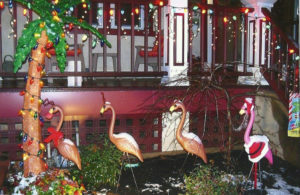 Annual Candlelight Holiday Tour in Phoenixville. 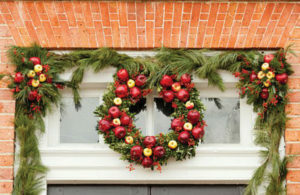 Visit homes decorated for the holidays, complete with Christmas trees, lights and other classic elements. Benefits Ann’s Heart Code Blue Shelter and Firebird Theatre. 3 to 7. $25. Info, 610-933-9181; PhxHolidayTour.weebly.com. Delaware Art Museum Council’s Holiday House Tour. This year’s theme is “Celebrating Timeless Classics,” which takes a look inside some of the new grand homes of the Brandywine Valley. 10 to 4. Tickets $35–$39; luncheon, $25. 302-571-9590; DelArt.org. The Spirit of Christmas in New Castle, DE. A full day of concerts, house tours, shopping and refreshments, ending with a tree lighting. New Castle Presbyterian Church, 25 E. Second St., New Castle, DE. Free. 302-328-3279; NewCastlePresChurch.org/Spirit.